Items I've found and saved about Szymanski's in Trenton, for research purposes. 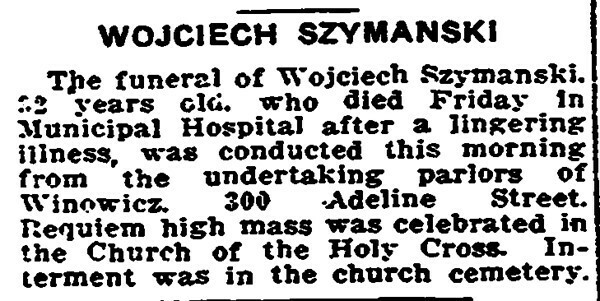 October 16, 1916 Trenton, NJ Wojciech Szymanski obituary. 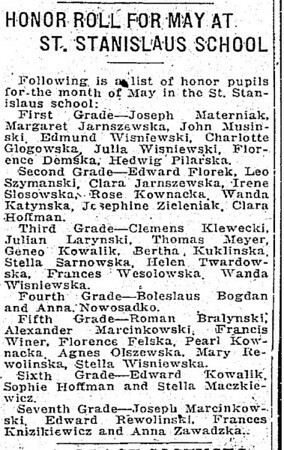 May 22, 1917 Spotswood, NJ Joseph Szymanski, second grade. 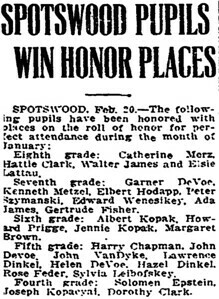 February 20, 1919 Spotswood, NJ Peter Szymanski honor roll . 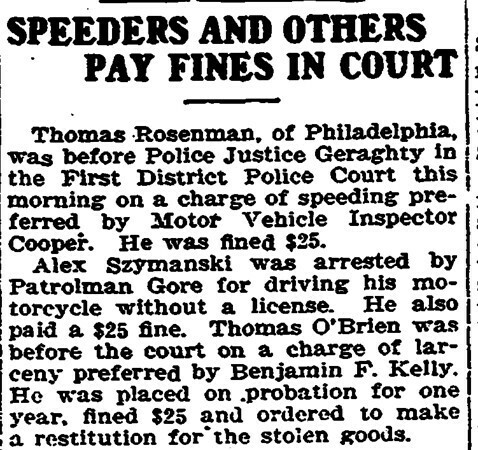 April 9, 1919 Trenton, NJ Alex Szymanski speeding ticket. 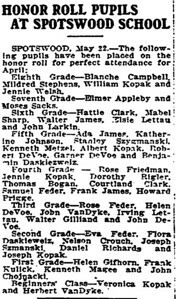 June 3, 1919 Trenton, NJ Bertha Szymanski at School for Deaf. 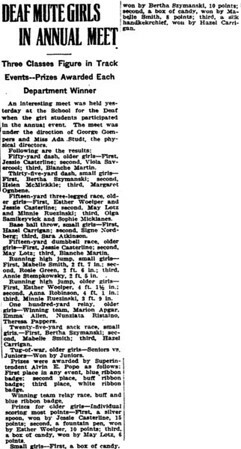 February 20, 1921 Skillman, NJ Bertha Szymanski at state village. 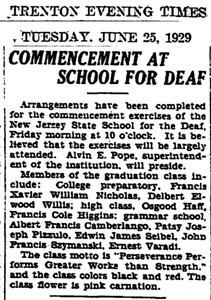 June 25, 1929 Trenton, NJ Francis Szymanski at School for Deaf. 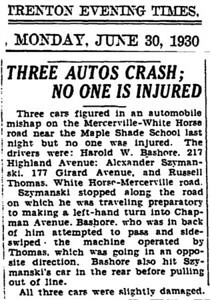 June 30, 1930 Trenton, NJ Alexander Szymanski in car accident. 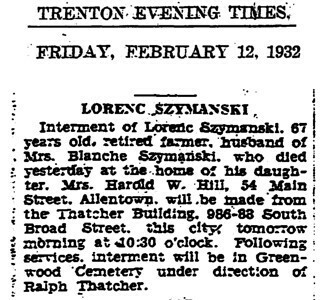 February 12, 1932 Trenton, NJ Lorenc Szymanski obituary. 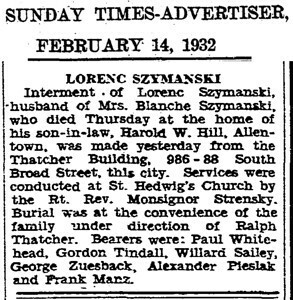 February 14, 1932 Trenton, NJ Lorenc Szymanski obituary.